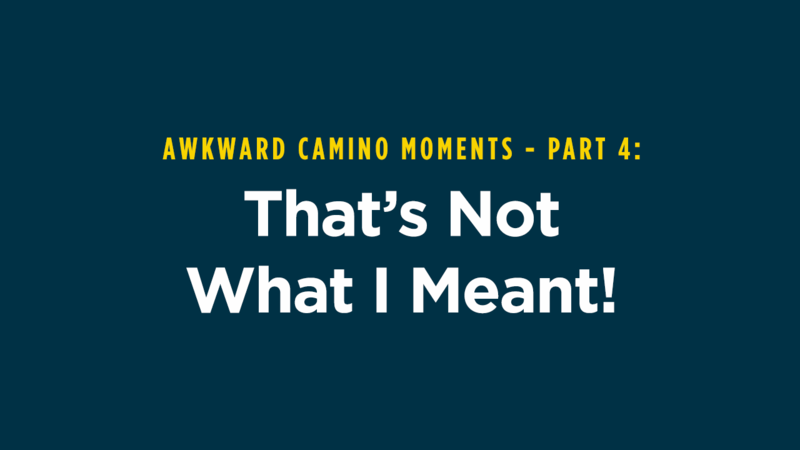 Awkward Camino Moments - Part 4: That's Not What I Meant! Going on a journey in a foreign country is full of challenges, especially when you don’t speak the language. Oftentimes, the language barrier presented the greatest difficulty for me. While Justin had chosen to take several years of Spanish in high school, I had chosen French. Yes, both are Latin based languages, but my distant French classes did little to help me navigate certain conversations. I literally learned words and phrases, moment by moment. Sometimes I didn’t get the enunciation quite right, other times, I wasn’t even close. Since Justin can’t use his hands, he prefers to use a straw when drinking. Whether water, soda, or wine; it's always best if he can control the speed and quantity of what he consumes. On an evening in Pamplona, we chose to make dinner in our hotel room and enjoy some wine with our film crew. We had a bottle of wonderful Rioja wine, plastic glasses from the bathroom, and a corkscrew, but no straw. Determined to remedy the problem, I set out to retrieve one from the bar on the first floor of the hotel. Before leaving I asked Robin, our production assistant (who is fluent in Spanish), how to request a straw. “Got it!” I said as I headed out the door of our room. As I entered the elevator, I repeated the phrase to myself, but already I knew the second word had changed significantly from what Robin had told me to say. I’m not even sure what exact syllables I was using, but it was close enough, right? When I entered the bar, a dark haired young woman, in her early 20’s, stood wiping down the counter. She made eye contact and smiled. I smiled back as I approached the counter and made my request. But as the words left my lips, the smile left her face. Now she just looked at me with eyebrows raised and her head tilted to the side in a way that said “Did you just ask me that? Surely you didn't just ask me that!” When she didn’t respond I asked again while making a hand motion like I was drinking out of a straw. Her eyes got big, an offended look crossed her face, and I suddenly felt like an old creepy man trying to hit on a young woman at the bar. I knew I had said something wrong. Seeing a canister on the far side of the bar filled with straws, I pointed and made my plea in Spanish a third time. With a look of realization, the young lady walked over to the canister, retrieved several straws and handed them to me. As I thanked her and turned to walk away, she just shook her head. Back in our room. I recalled my story from downstairs and Robin asked me to repeat what I had said. As the butchered words came from my mouth, he laughed. 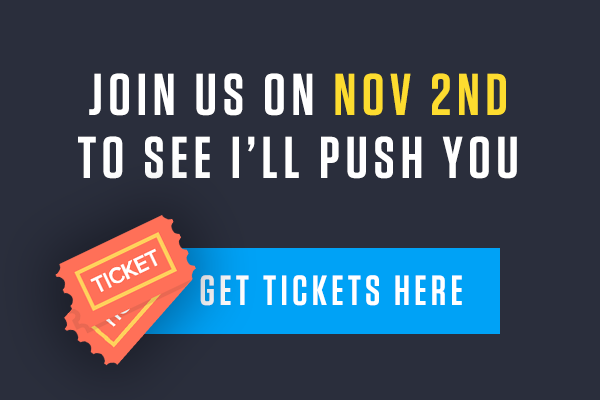 Join Us for a Special One-Night Event on Thursday, November 2 To See I'll Push You: A Camino Journey of 500 Miles, Two Best Friends, and One Wheelchair In Select Theaters.